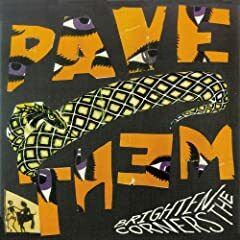 In a good week for reissues, Matador Records releases a remastered edition of Pavement's Brighten the Corners tomorrow. The 2-CD edition contains the remastered album, as well as 34 non-album tracks and a 62-page booklet. Other reissues out this week include four Flipper discs, and three albums each from Stereophonics and the Triffids. New releases are slim, but there are some worth checking out. Cat Power has a new EP in stores tomorrow, Dark End of the Street, as does Mark Kozelek, The Finally. Other discs I can definitely recommend include DM Stith's Curtain Speech and Welcome Wagon's Welcome To The Welcome Wagon. The Damned: So, Who's Paranoid?